Just a quick post in a hectically busy week. 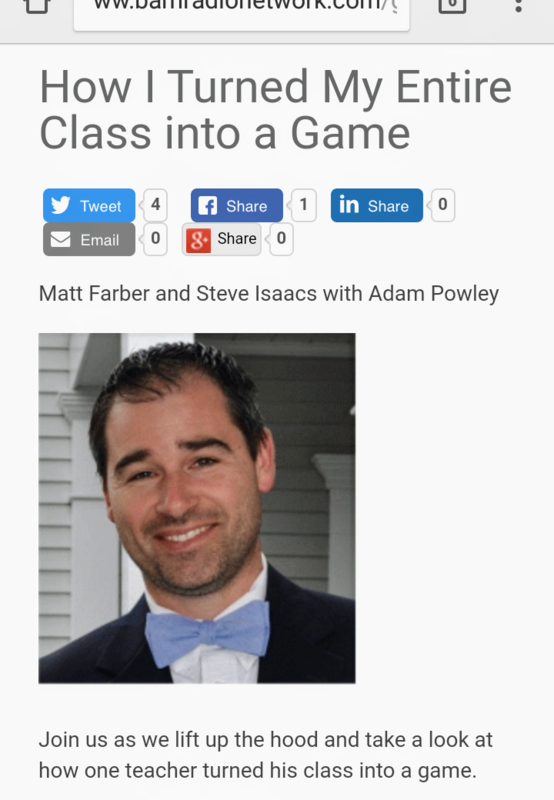 I was invited to talk on Matthew Farber and Steve Isaacs Radio Show Ed Got Game about my Game Inspired Classroom a while back. Here’s a link to the interview.